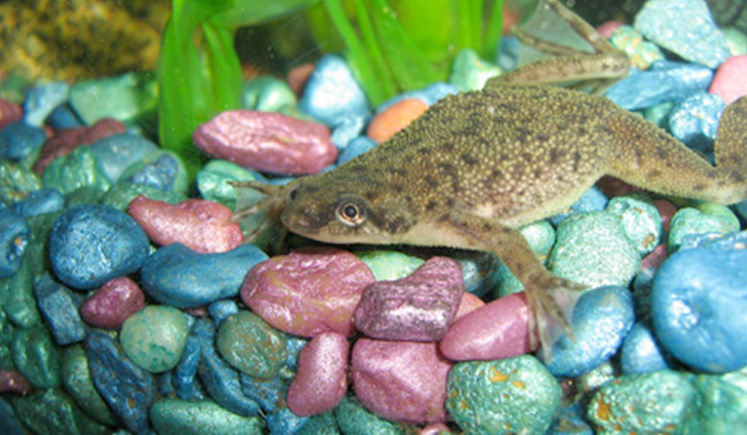 African Dwarf Frogs are small aquatic frogs that are a favorite among fish keepers. They like to keep them with their fish to create an interesting community tank. They are a freshwater frog that is fully aquatic so they don’t need any land areas in the aquarium tank to live. Avoid handling your African Dwarf Frog unless it’s absolutely necessary, they will quickly dehydrate when they are taken out of the water. When buying African Dwarf Frogs, always buy at least two since they have a social nature. Experience Level: Beginner — Easy to care for, very hardy and undemanding. Size: Both male and females grow up to 1.5 inches (3.8 cm). Tank Region: Swims in the bottom but comes to top to breathe air. Tank: At least 5 gallons (20 L), 10 gallons (40 L) or larger recommended. Aquarium tank cover is recommended. Avoid tall tanks since they’re not good swimmers. 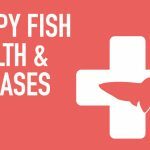 Food: Eats sinking fish pellets and flakes, frozen dried and live foods. 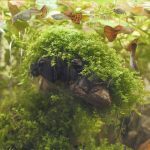 What do African Dwarf Frogs Eat? African Dwarf Frogs are scavenger hunters so their diet mainly consist of uneaten fish food, decaying plant matter, live food such as Brine Shrimps, White Worms, etc. If you are offering fish food, try getting the ones that sinks instead of float. Feed your African Dwarf Frogs 1-2 meals a day, the meal should be consumed within 1-3 minutes to avoid contaminating your aquarium tank. 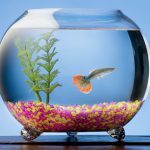 Avoid housing African Dwarf Frogs in tall tanks. They’re not very strong swimmers and needs to come up to the surface to breathe air otherwise they will drown. It’s a good idea to put a tank cover for your African Dwarf Frogs as they can hop short distances. Like all frogs, they will shed their skins. They can shed as frequently as once a week. 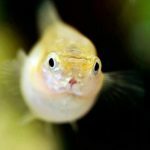 Excessive shedding could indicate that your aquarium’s water is high in nitrates or ammonia. Filtration System — Try getting a filter that is gentle, African Dwarf Frogs are very sensitive to their surrounds and they associate vibrations with predators. So if your filter is always vibrating, it might cause unnecessary stress. Decorations — African Dwarf Frogs are more active at night than the daytime so create hiding spots with decorations or live plants to provide them with ideal daytime lighting conditions. If you don’t want to take care of live plants, you can use artificial plants but use the soft silk-based ones instead of plastic plants as they can easily injure their delicate body. African Dwarf Frogs can be wonderful tank mates and co-exist peacefully with smaller-sized fishes in a community tank. 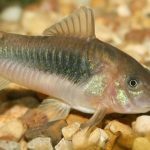 They can be great tank mates with Guppies, other Livebearer fishes, Neon Tetras, Bettas and other smaller fishes if you want to add an amphibian to your fish aquarium tank. Make sure they get a share of their food in a community tank with fishes since they’re not fast swimmers. Do not add African Dwarf Frogs with large-sized predators like Cichilds, Crayfish or turtles, they are very small frogs and will be eaten due to their small size. 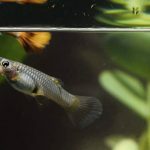 Read our Compatible Tank Mates with Guppies article to learn more about creating a peaceful and interesting community tank with Guppies.